I try and learn but it is very hard. I now understand how people with autism feel being misunderstood and alone in the world and that sometimes one can hear the information but nor process or retain it and are then unable to respond to it. I feel alone even when surrounded by people the noises get to me then I go hide in my room , noise sensory issues are not fun to deal with hiding might to some seem childish but when your system is overwhelmed you just can’t deal with it and will shut down. My moods have been haywire and I can’t seem to get them under control nothing I have tried seems to help, it is very frustrating and lonely no one wants to be around me when I’m in one of my moods what they don’t understand is I don’t have control of my brain it runs away and haywire and then I feel bad guilty and upset about my moods it doesn’t help that there is language differences and cultural differences as well as cultural issues. *Always wash chicken either with lemon juice or vinegar let sit 10 minutes then rinse to remove chicken smell. You can switch the vegetables out if you don’t have the ones above, can make with potatoes, carrots, turnips and peas. 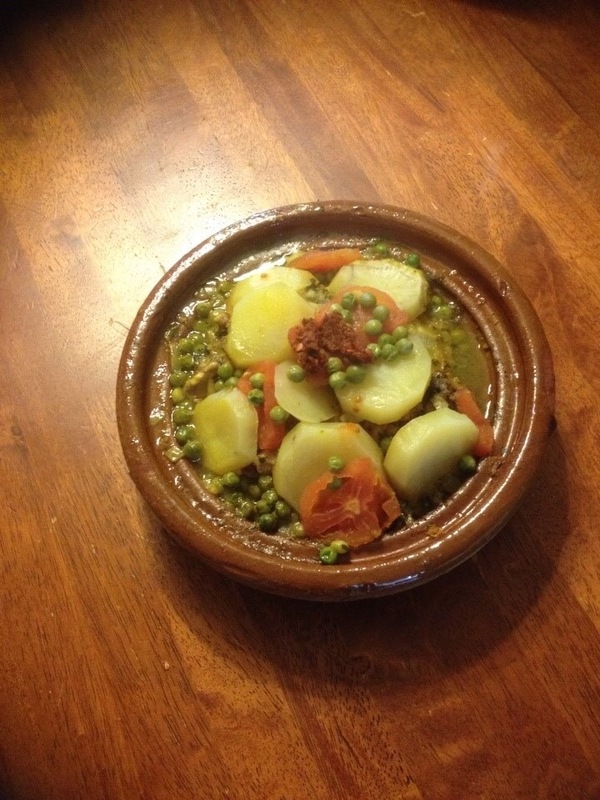 The picture is of potatoes and peas with tomatoes. In heated a cast iron skillet add a little vegetable oil, then add chopped cilantro and parsley , paprika, cumin , minced garlic and onion , cook for about 5 minutes then add sliced okra, and seeded , peeled and chopped tomatoes cooked down for about 15 minutes cook, then simmer down for 10-15 minutes more. Before serving, add olive oil use extra virgin and salt serve with bread. Pour green tea leaves into tea pot about 3.5 tablespoons for those who like to measure , I just pour in green tea to cover the bottom of the pot . Pour a small amount of water onto tea leaves swish it around and dump this out repeat one more time then add water to fill pot. Place tea cups and pot onto tray , can serve cookies, bread and cheese with jelly ,olives, and olive oil . Below is two Moroccan coffee recipes one is a quick on the go recipe which is first , and the second is a longer more involved recipe, both taste great so enjoy! yes Moroccans like to serve their coffee in small tea sized cups, I prefer a normal sized cup so I don’t have to keep making up small cups. 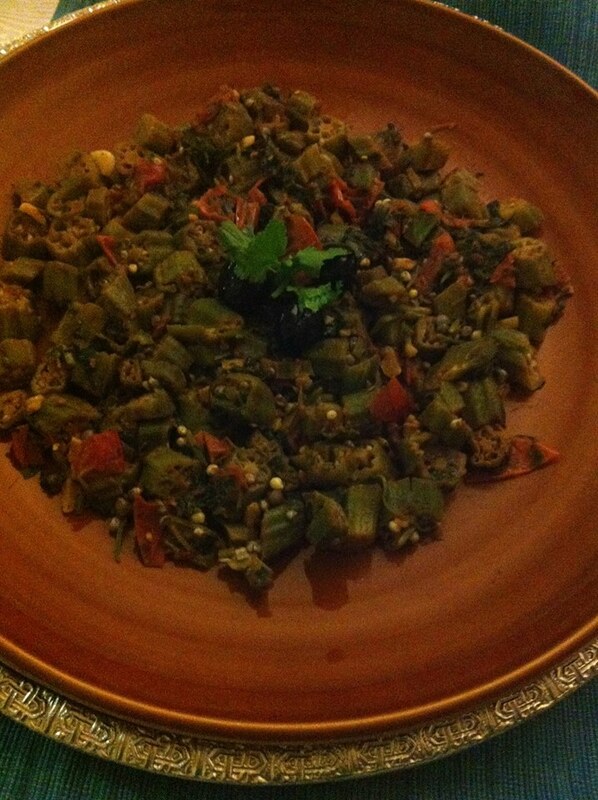 Here is the second recipe. 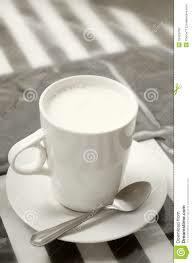 place 1 .5 quarts milk into saucepan and bring to boil watch carefully so it doesn’t boil over and make big mess. 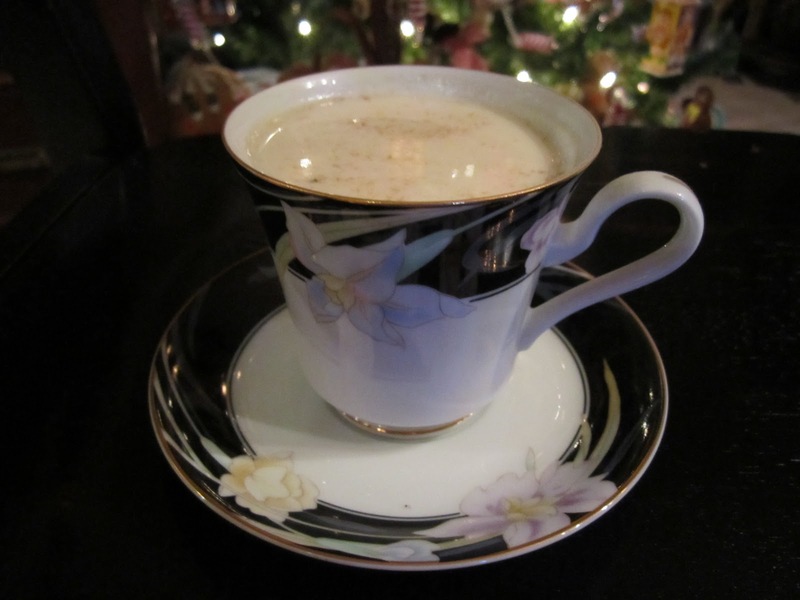 To serve pour in milk add sugar mix add coffee and mix then drink and enjoy! I would have just reached for whatever stomach medication was in the medicine cabinet but here its not that easy the medicine cabinet and the kitchen are linked , here’s how basically here in morocco everything is home remedy unless you are gushing blood or broke a bone. 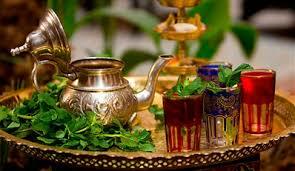 get zaatar (aka thyme flowers and dried leaves ) roll dried herbs between hands to crush place in pot add cup of milk and bring to boil turn off strain out and place in cup add either sugar or honey whichever is handy and drink . 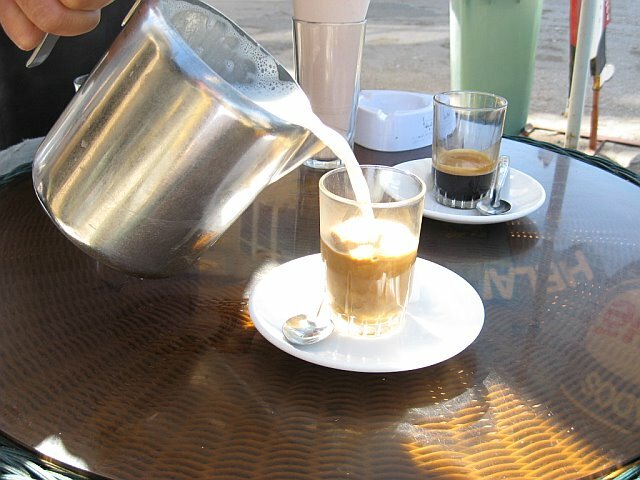 in morocco coffee is mixed with milk and then sugar is added , it actually tasted very good with zaatar added and my stomach seems to be on the mend. 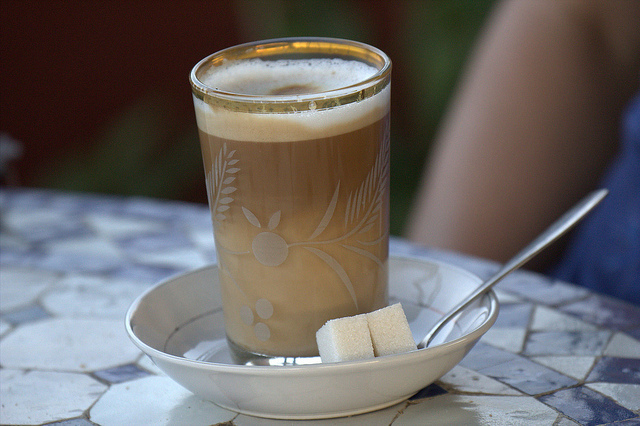 I will inshaallah post a recipe for Moroccan coffee soon !